Supergirl is telling a hell of a coming-out story. Alex Danvers’s arc over these first six episodes of the season has been tremendously humane, with beats that feel sensitive and honest in their execution, from her clear and subtle attraction to Maggie Sawyer to Maggie’s eventual realization that Alex is attracted to women. “Changing” finds Alex in a vulnerable place, aware that she is different than she was, but also chafing against the fact that she is a grown woman, well into her life and career, who’s burdened by societal convention that demands she have herself figured out. Early in the episode, Alex tells Maggie that she feels like a kid again and she doesn’t know what to do with herself. Maggie tells Alex to do what Maggie had done not long after she found out she was gay: Tell her family. 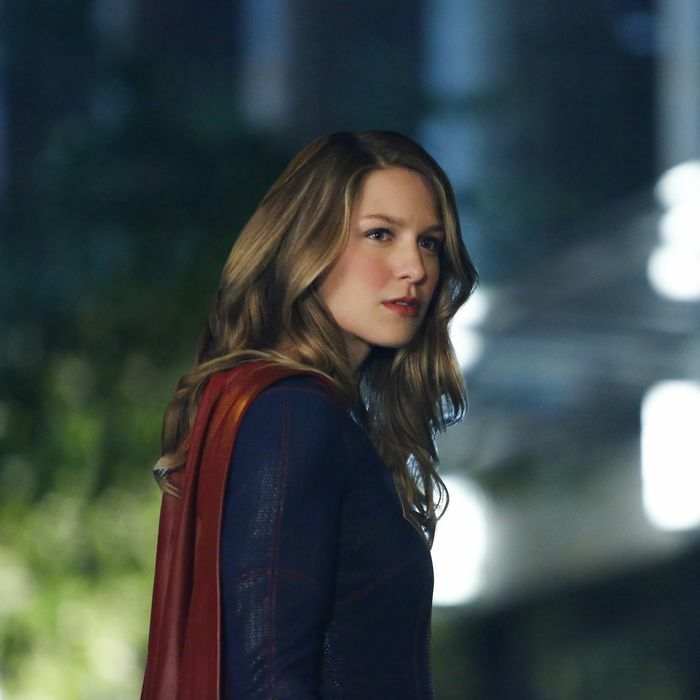 This is when the episode starts to sing: when Alex gathers up the courage to go on a walk with Kara and come out. It’s an awkward, stumbling scene delivered tremendously well by Chyler Leigh, and Kara’s reaction is one I want to talk about — precisely because it isn’t immediately warm and accepting. Supergirl is a show about fundamentally good people who believe in hope and optimism and acceptance. It’s in the middle of a story line that holds tolerance as one of its central themes. It’s unlikely that anyone in the Danvers clan wouldn’t accept Alex for who she is, and it’s very difficult to believe that she would be cut off from her family the way some queer people are when they come out. That doesn’t mean Alex’s family can’t flub the reception of her coming out. Kara doesn’t immediately embrace her sister the way she may have wanted her to. She doesn’t express enthusiasm or warmth. Instead, she’s confused. She wants to know whether Alex is sure, if she’s always felt this way. These are normal responses. And unfortunately, due to the nature of their job — and the fact that an alien parasite has infected a climate-change scientist and is terrorizing National City — they can’t talk everything out until it’s okay. So Kara seems distant, and Alex is worried she’s not okay with it. And then Kara realizes she may have failed her sister. She says she’s sorry for not creating an environment where Alex could talk about any of her feelings, that all of their bonding was so centered around keeping Kara’s secret that there was no room for Kara to support her when she needed it. Because good people can still fail one another. It’s a really wonderful story about being vulnerable with the ones you love, how terrifying it can be, and also how it can ultimately strengthen bonds if you truly support one another. Alas, Alex is in for another, bigger letdown: Finally feeling comfortable enough to acknowledge her sexuality, she approaches Maggie Sawyer at the speakeasy, and full-on kisses her, hoping that maybe something could start between them. Unfortunately, Maggie rejects her, saying that Alex needs to just go out and explore the world she’s opened herself up to, and not just slide into something with her. While this might be good advice, Alex is humiliated at the rejection and once again finds comfort in her sister’s arms. I don’t know where her story will go next, but I’m really impressed with it so far. Before we finish up, there’s a Jimmy problem we’ve got to talk about. Remember how, last week, Winn made a big fuss to Jimmy about how guys like them fight with information? That punching bad guys isn’t the only way to be a hero? He was right! A show like Supergirl could really benefit from having its characters be heroic in ways that don’t involve superpowers and fisticuffs. This is what the show lost when it said good-bye to Cat Grant, the one character with utter faith that she could inspire others to do good in a way different than Supergirl. Unfortunately, Winn doesn’t totally understand this. After telling James off for his demands, he winds up going through with his promise to make him a suit anyway. And with Winn’s help, James becomes a version of the DC Comics character Guardian, a decision that is fun to watch, but pretty terrible once you think about it for more than a minute, as comics critic Jon Erik Christian pointed out on Twitter. It’s a complete reversal from James’s first season characterization. That character was inspired by Superman but never emasculated by him, a guy who believed he could do good by being Superman’s friend and also by being a good journalist. And although I like the pushback Winn gave him — which suggests an endgame to this particular thread — the guy is far too eager to fight along for my liking. Mon-El’s story continues to be solid enough, but also pretty bland. He gets Kara drunk on alien super-booze (fun), decides to make money by being a loan shark’s muscle (not fun), and ultimately repents for his mistake and selfish motivation by helping in the final fight (sure). He does end up kidnapped by Cadmus, though, so maybe we’re finally going to make some headway on that front. Speaking of the final fight, PARASITE IS SUCH A COOL VILLAIN. Also cool: The straight-up The Thing homage in the cold open. Less cool: that slug making his way from Rudy Jones’s throat to his ear. In the episode’s penultimate fight, J’onn is left in critical condition and in need of a blood transfusion from M’gann, who gives it to him rather than admit to being a White Martian. This does save him, but it seems to have some side effects that M’gann seems very sorry about. I’m worried for J’onn.